to the circuit criminal court or the central criminal court for trial. Whatever offence you are charged with either minor or non minor don’t hesitate to call the office. If you have been asked by the gardai to to attend the station to give a voluntary statement, Do not disclose any information to the gardai until you have been legally advised. Any statement you give may be used as a basis for prosecution or further investigation against you. Article 38 .1 of the Constitution provides the absolute right for an accused to remain silent where they are accused of a criminal offence. However, inferences may be drawn from your silence but one cannot be convicted on inferences alone. It is vitally important that you seek legal advice before any interview is conducted by the gardai, as your solicitor can advise on the course of action to take during the interview process. Remember the burden of proof is on the prosecution to prove beyond reasonable doubt that you did in fact commit the crime in which you are accused of. There are different types of detention periods in the garda station depending on the type of crime you are accused of. The main pieces of legislation that govern detention after arrest are, Example : S4 Criminal justice Act 1984 maximum detention is 24 hours. S30 of the offences against the State Act 1939 maximum detention is 72 hours S2 Criminal Justice (Drug Trafficking) Act 1996 maximum detention 7 days S50 Criminal Justice Act 2007 maximum detention is 7 days S 42 Criminal Justice Act 1999 maximum detention is 24 hours The above also include extension periods. You may be entitled to Free Legal Aid in Garda stations if you are on social welfare payment or your earnings are under €20,316 gross. Remember legal aid is means tested. Therefore if you fall within the categories mentioned above then you may be entitled to legal aid to cover the cost of your solicitor attending the garda station for consultation and or interview with their client. 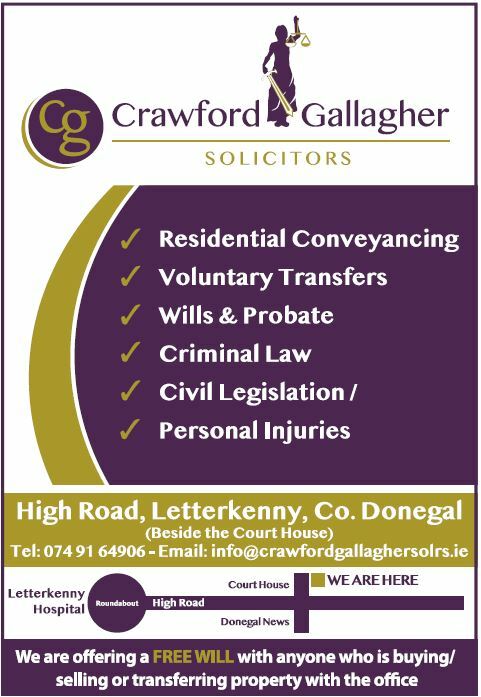 If you would like to have a confidential discussion regarding your legal query please contact the office on 0749164906 or email info@crawfordgallaghersolicitors.ie This article is general in nature and cannot be regarded as legal advice, as it is commentary only. If you would like legal advice regarding how the law applies to your individual situation, then please do not hesitate to contact the office as mentioned above.